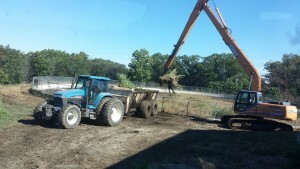 Walter and Son Waste Hauling has a fleet of equipment to properly handle bio-solids. 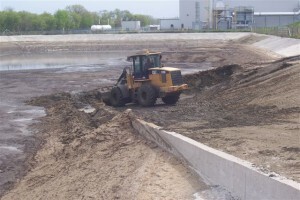 Wheeled loaders and excavators are used to load the product to be transported for disposal. 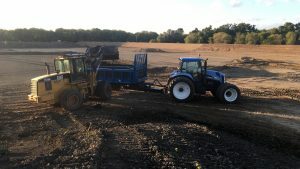 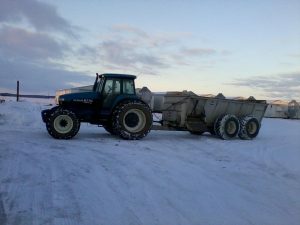 Utilizing manure spreaders the bio-solids are accurately applied to agricultural fields for nutrients. 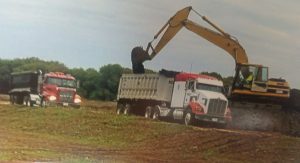 Walter and Son handles all biosolids from sewage sludge to food processing by products.